Copper Autumn. 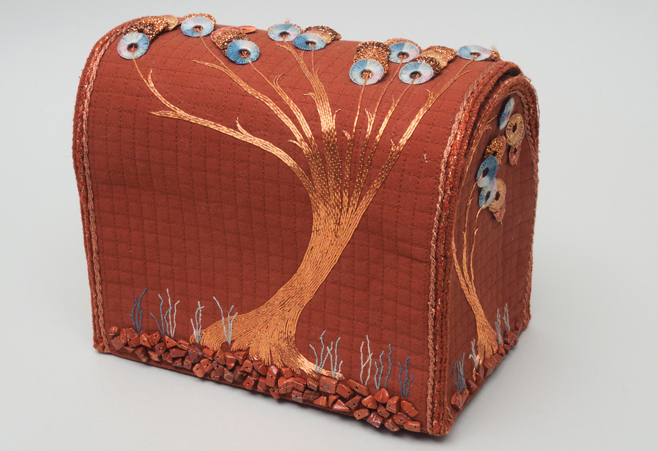 This embellished box is constructed of cotton and felt with machine quilting. All the surface embroidery is worked by hand. 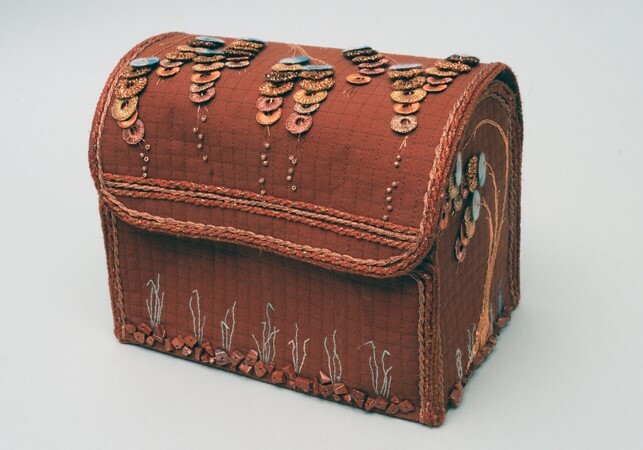 The hinged lid fastens using magnets sewn into the edge of the lid and on the front of the box.